Trailerable Combo Cruiser Houseboats - 22' Combo-Cruiser--"Bubbles"
The rare trailerable Combo Cruiser houseboats. The trailerable Combo Cruiser houseboats were an innovation far ahead of it's time. This house boat was built in Mishawaka, IN in the late sixties utilizing Goodyear Royal-Lite similar to ABS. We purchased her used for $7500 in 1974. She was totally self contained with a 17' long cabin. Marine head, shower, refrigerator, three burner stove with oven, and a closet. She slept 4 adults, plus more on the upper deck. The draft was 8". Starboard helm and instrument console. Upper deck area was reached by a portable ladder on the Port-side which also doubled as swim ladder and boarding ladder--when on the Trailer. 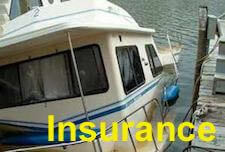 We lived in Southern California and kept the boat on Lake Powell at Bullfrog Marina. We not only used her for vacations but also Thansgiving and other times during the winter. On one trip in late November we boated the entire upper portion of the lake to Hite Marina and return. During that time we saw only three boats. Lake Powell is Very Special in the winter time as the Lake surface is just like Glass, with very little wind and lots of sunshine and no traffic! We sold her in late 1995 for $6500. 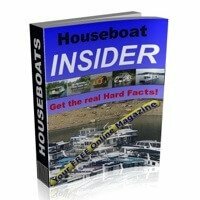 Well James, thanks for posting your article about the Combo Cruiser houseboat. I just love seeing these rare trailerable house boats. It sounds like you were able to get a lot of great use out of her, especially on world famous Lake Powell. She seems to have been very well equipped, and it looks like you had her for 21 years, and only lost $1,000 from the original purchase price. 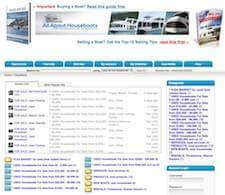 Lastly, hopefully some of our readers will share and post comments about their Combo-Cruiser houseboat experiences. Feel free to use the "Click here to post comments." link found near the bottom of this page. Comments for Trailerable Combo Cruiser Houseboats - 22' Combo-Cruiser--"Bubbles"
I thought when I purchased my boat that it was a 1971 model. I have since learned that it is the 1970 model and has the 153 C.I.D. 120 HP stern drive in it. You can see the boat and my work to complete a Rest-O-Mod on her at http://www.rcmedic.com/ComboCruiser/. I just rescued a 1971 Combo Cruiser and I am very interested in photos that anyone has of both the interior and exterior that they would share. I will do likewise. I am in the process of repairing and upgrading where necessary and would like to see what the original ones looked like as not all of mine is original. Today is 06-18-2018. I was 7 years old when we got her brand new, my Dad was a teacher so we had summers to enjoy her and we did. We took her up the Tennessee River thru 5 locks one summer. It was a blast. We lived in Alabama and kept her on Smith Lake. In our years of boating from 1970 thru 1995 we saw several on them, 2 on our Lake in Alabama. My Dad retired from teaching and we grew up and started families of our own and I even have photos of my daughter fishing next to our combo before Dad sold her. There's an excellent chance I bought your red-and-white Combo Cruiser. Not many of them in central Alabama! I sold it about 22 years ago and have been looking for it to buy it back ever since! If anyone knows of a Combo Cruiser for sale in the SE please contact me or give the seller my contact info. How do you identify which one it is? Thru what years was the boat made, and how many different models were available? Thanks for the great info on the history of the company, it really makes me excited to start my new project. I just rescued my Combo-Cruiser from a local farmers pole barn and I'm looking for interior pics of these/their boat. Any help would be great. I would like to purchase one of these boats. I have been looking everywhere and have not been able to find one. Bought one last year. In the process of a total internal rebuild. Inside rotted and infested with termites. Discovered also used an early form of engineered lumber, some of which I have been able to salvage. Taking advantage of neccesity by modernising and upgrading. Plan to post on Google+ soon. Just bought a Combo Cruiser with what must be the original trailer. I am going to clean it up, paint the top, do some repairs. Needs work on motor, electrical, windows, steering, pads, etc... It seems basically sound = hull, top, bathroom, refrigerator, sink, cabinets, benches, table, trailer. I am replacing the carpet with turf green short knap. The original carpet is shot. Going to ask $5,000. I purchased a combo cruiser in Page Arizona (next to Lake Mead) in 2007 from an elderly gentleman. He said it was the only one he had ever seen. His wife was forcing him to either sell the boat or his hot rod. It still has the original motor and outdrive, she runs great. As far as I know the interior is still all original. I have never seen another one, I read on the comments there is one other owner with a running boat (With the suburu engine). Would love to hear from anyone with interest in the boat, and possibly starting up a Combo cruiser forum/blog or club. 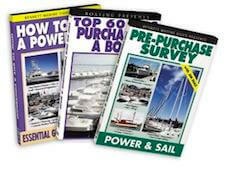 I was approached by a man who was interested in my for boat for a boat museum and he has re-sparked my interest in the boats history. This caused me to google Combo Cruiser Houseboat ship a shore. When I tried that after I bought it nothing appeared (rare for Google). But now although little, there is more information. 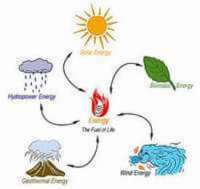 This is a great page due to the history of the company given and I want to thank you for the info. My dad was a dealer for the Combo Cruiser out of the Detroit area. It was a BLAST! Too bad they are not still around - or at least replaced by a similar idea. How perfect! You could camp on land or water - and do it in style! I've recently found one complete, but no idea how much money it would be worth, any ideas? My Dad was DeMeyer, President of the Co. He still resides in South Bend. When the Co. shut the doors that was it, they all went separate ways. I think your uncle went back to concentrating on running Redi-Froz. The others no clue. No, not my website, just happened to stumble on it looking for some info on Ship-a-Shore. I think all of the designs etc. just were lost or thrown out. My father has hardly anything left except some articles written about him or the Co. I live on a small lake (1000 acres) in Southern Illinois and have a pontoon mostly for the kids and a small fishing boat for myself. You're quite welcome, brings back a flood of memories. We came within an eyelash of becoming multi-millionaires but as most CEOs will tell you, the difference between success or failure is most often measured in inches not yards. Which partner are you? Is your Dad in South Bend, did the guys continue to invent things, what happened to the original design drawings? The internet sure has made our 'fish bowl' small. Is this your web site? Do you have a boat? Thanks for all your responses! "I do remember how disappointing the demise of the project was." Adrian, my Dad still reminisces that when he locked up the plant front door for the last time it was one of the saddest days of his life. Scott, there's a new photo/article above. I wasn't sure if you had seen. It's from Popular Mechanics magazine dated Sept. 1970. I'm not savvy enough to know how to download it here. Hi Mike - as I read through your information, a lot comes back to me. I heard bits and pieces from my Dad and Uncle Sam when they got together. I do remember how disappointing the demise of the project was. 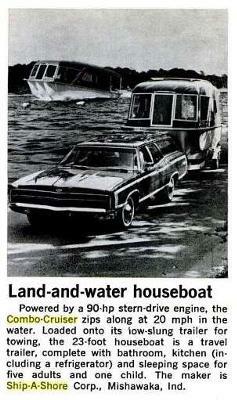 As I recall, my Dad participated somewhat financially and spent time trying to market the boat at RV/boat shows, etc. He was in sales with Samsonite and traveled many states in the southeast - therefore could call on prospects for the Combo-Cruiser. I remember the excitement they shared and the vision. I'm a Pisces that really doesn't like water (LOL) - my thing has always been horses - still is. as the only thing they use the material for now is canoes. I'll answer any specific questions you may have if I can. I wrote this for Scott of Lima Bean fame on another site so my apologies to him for repeating it. They started the Co in early 1970. My father and three other fellows. The original idea came from a man name Wasserman and the 3rd partner was Sam Bailin. Their was also an engineer named Schwartz that had some money in the project. All knew they had a real winner so most of the investment was from them. There was a feature story on the craft in Business Week in July of 1971. You can check the archives. I believe the title of the article was "Ship-a-Shore, Where Women Man the Boats". The reason being that a full 80% of the employees were women, quite progressive for that era. applications if it wasn't for a problem that I'll go into later. The two sections were fabricated in a Uniroyal plant in Warsaw, Ind and then shipped separately to the Ship-a-Shore plant in Mishawauka for assembly. The fabrication of the two component parts entailed a thermo/vacuum-forming process over a rigid mold. put out 3 per week. For a small plant that was extraordinary. Early on the problems hit. The first one being that they couldn't get the boat to consistently "plane", a real issue. It was being advertized to be able to pull 2 skiers so they needed to do something. Some minor modifications in the hull and a beefed up inboard cured the problem. back to Uniroyal for not meeting spec. That didn't help their business relationship either. Hi Mike - my Dad was Bob Begner. We lived in Atlanta. Bailin was my uncle (my mother's brother). I'd love to have more information on their venture. I remember bits and pieces as I was not living at home then. 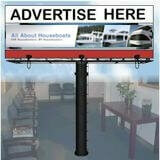 Houseboat Builders - which partners? Adrian, I remember all the partners involved in the project (Balin, Wasserman, Swartz, and Peterson an engineer, and Hutchison an engineer) and my father. Which one were you related to? Thanks for your comments about restoring your Combo Cruiser. I really wish I could help you with your quest for paint information, etc. My Dad and Uncle designed, developed, and tried to market it. My Dad passed away in 1983 and my Uncle died in 2007. I was 23 at the time, away from home, etc. and have minimal recall of their project. 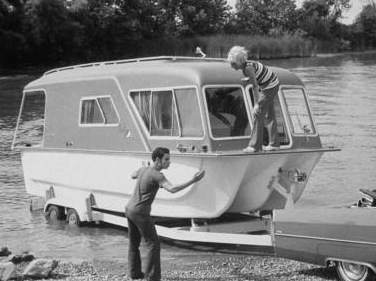 I recall that it was the first of it's type - a boat and camper all in one. The market was not ready for it. Plus, Dad and Uncle had full time careers/families, etc. and did not have the funds or expertise in marketing to push it to any level of success. I just really remember the name - Combo Cruiser" and a vague mental picture of the design. Adrian, talk about memories. My father was the President of Ship-a-Shore. Man could I tell you stories. A great ahead of it's time product but manufacturing challenges that just couldn't be overcome. Adrian, I am the proud owner of a 1971 Combo Cruiser, "Lima Bean," that I bought off ebay in a boat angel auction. I rescued her from behind a garage in Ft. Lauderdale where she sat for 25 years! After rebuilding the framework and floor, I adapted a Subaru engine inboard and have been cruising around for a couple of years now. We draw a crowd wherever we go! I would really love to get any information on her builders and history. I am also having a hard time finding out what kind of paint to use on the Royalex hull. Any leads you could give would be appreciated greatly! In an idle moment, I googled the Combo Cruiser - flash back of my childhood just to see if they still exist. My father and my uncle created and tried to market them. My uncle was a resident of South Bend - Mishawaka and my father lived in Atlanta. It was their adventure in life. It was a houseboat 'before its time.' I am glad that you have enjoyed it. My father died in 1983 and my uncle died 2 years ago. I think they would have enjoyed your comments. I certainly have enjoyed the memory. Thanks. I recently purchased a Combo Cruiser like this one, in "rough" original condition.